Dental hygiene is an important aspect of veterinary care. Our practice nurse is available for regular checks and advice i.e. how to brush your pet’s teeth. If required one of our vets will always be on hand to give further advice and treatment. Keeping your pets teeth in good condition keeps them healthy and happy! There is a lot to know about looking after a kitten or puppy when they join the family! Don’t hesitate to ask our practice nurse about worming and flea treatments, appropriate amount of exercise, neutering, nutrition and insurance. 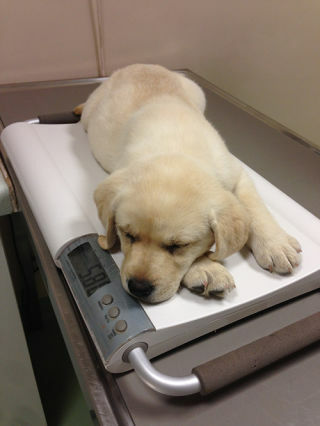 You can always pop into use our scales and say hello, this allows us to monitor your puppy or kittens growth rate and gets them used to our practice. Senior clinics focus on monitoring any weight changes, alterations in behaviour and dental checks. These are often the first clues to changes in your pet’s health. Therefore, veterinary attention can be sought quicker and treatment instituted rapidly. These clinics are available at all our surgeries so please give us a call to book in.